Best Value for your money - top location! Everything you need for a comfortable and enjoyable stay. Your home away from home! Our guests enjoy free Wi-Fi throughout the hotel and free coffee in the lobby. 2-minute walk from shops, restaurants, the zoo and the Upper Bahai Gardens. The Beth-Shalom Hotel is located in Central Carmel, part of the Carmel mountain range. 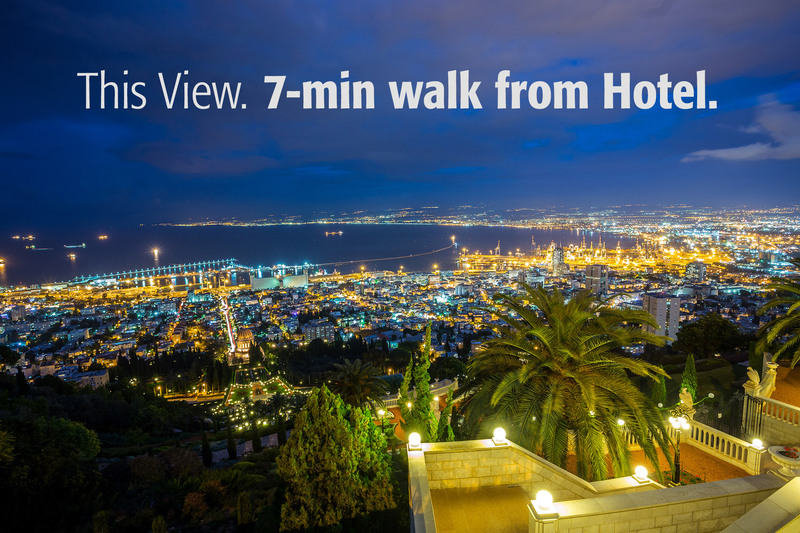 Within 3 minutes walking distance there are shops, restaurants, a breathtaking view of the Haifa Bay along the promenade, or the zoo. This family-styled hotel is located in one of the top-rated areas in Haifa and is rated as "best value" in Haifa by our guests on third party travel websites. The top 3 reasons travelers choose our Hotel for their stay in Haifa are the location, the clean and modern rooms and the staff! There’s a snack bar in the Beth-Shalom lobby area. You may sit inside or outside. Coffee and tea are FREE of charge for hotel guests. 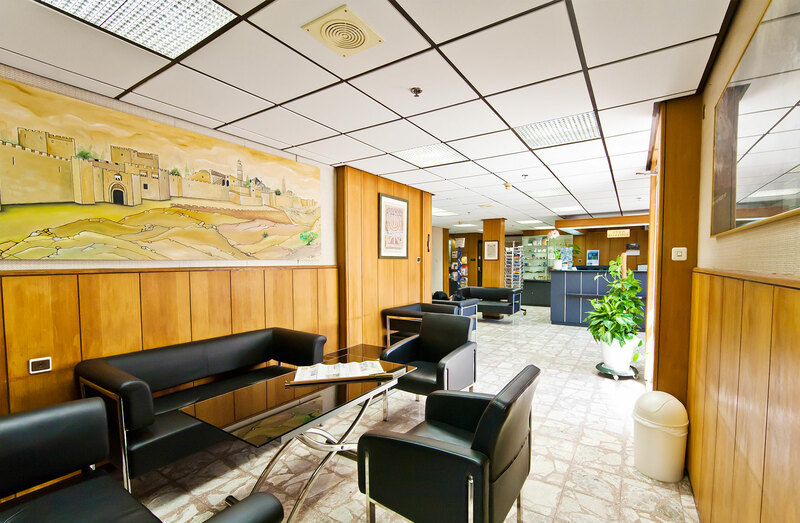 At the reception desk, you can purchase carefully selected Israeli souvenirs and artwork. If you have any questions about the hotel or things to do in the city, our receptionists will be happy to assist you. Between our staff members we speak Hebrew, English, German, French, Italian, and Arabic. Next to the seating areas in our Lobby guests can enjoy the more quiet and private indoor amenities located next to the garden. Two seating areas, table tennis, ball pit for kids and a conference room (upon request). The pergola in our garden offers a relaxed seating area for our guests - the ideal quiet refuge within the city. Read your book or have dinner while enjoying the Mediterranean sun. The Hotel is located in Central Carmel, Haifa. 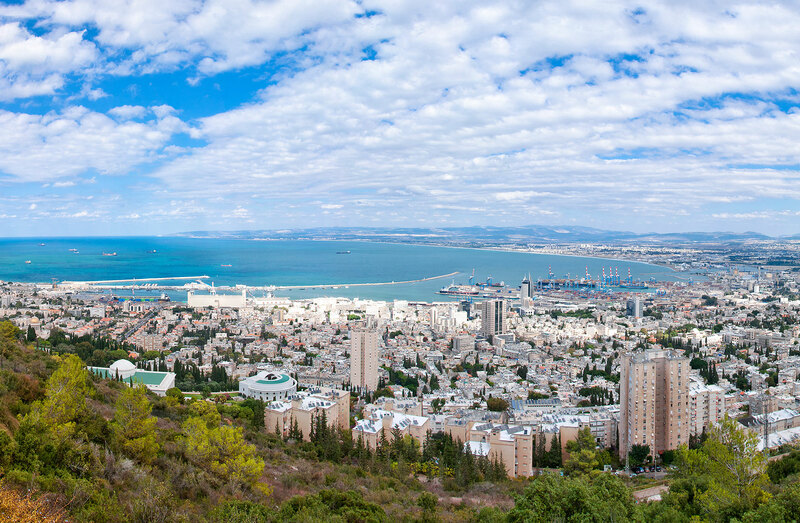 Within walking distance you can reach the upper Bahai Gardens, enjoy the view of Haifa Bay, enjoy Israeli food in nearby cafes and restaurants. 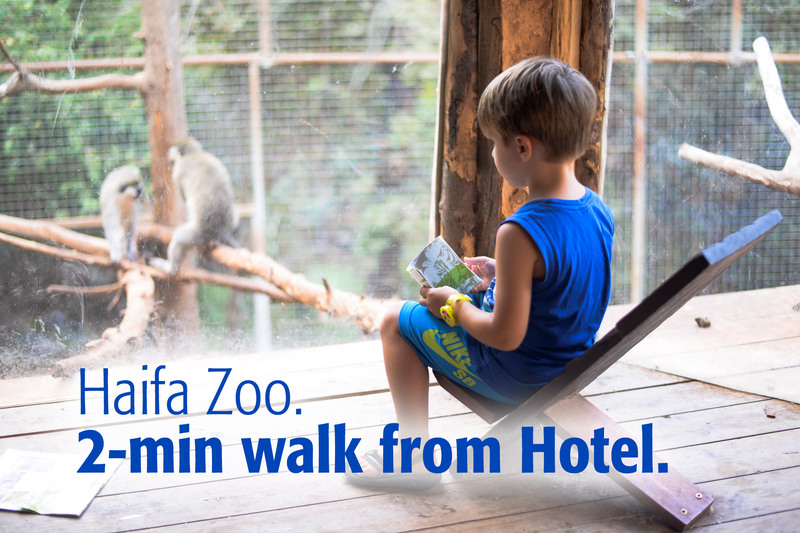 For families, a playground and the zoo are only 2 minutes walking distance away. Child-friendly restaurants are close by. A supermarket and pharmacy are across the street, From the bus station next to the Hotel one can go to the Bahai shrine, the beach or a mall. For more tourist information about Haifa visit this website. "A peaceful place, very courteous staff"
We were in Haifa for just 3 days... we arrived by cruise ship, and spent two nights at Beth Shalom. We stayed here 6 years ago while on Baha'i Pilgrimage, and the place has not changed: still a peaceful place, very courteous staff, clean spacious room, and hearty breakfast served each morning. Bus stops just outside the door, and there are shops and restaurants within easy walking distance, across the street you get a great view of Baha'i terrace gardens and Haifa. "Fresh food, excellent location - felt like home"
The hotel felt like home the staff were personable and helpful the food was fresh and sufficient the dining facility welcoming and dietary needs were well accommodated the hotel was very conveniently located for our purposes - a three day visit to Bahai Holy Places and it was affordable. The bed was among the most comfortable I have had and we slept very well. "Clean rooms, wonderful breakfast - Best stay for Baha'i Pilgrims"
I liked the friendly staff who responded kindly and competently with every request. The rooms were clean, neat and enjoyable. The breakfast was wonderful and delicious each morning. Great resting place each day. Garden off dining room excellent. Easy access for buses and taxis. Clothesline a perk! Nice showers, safe, and room refrigerator. We looked forward to returning to Beth Shalom each day while visiting Haifa as Baha'i Pilgrims. Shalom & Welcome to Haifa! 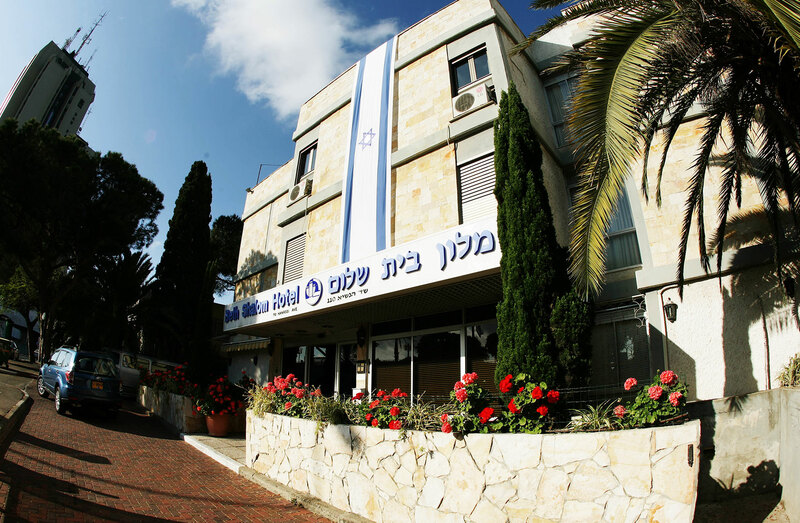 Beth-Shalom is a family operated Hotel in Haifa. 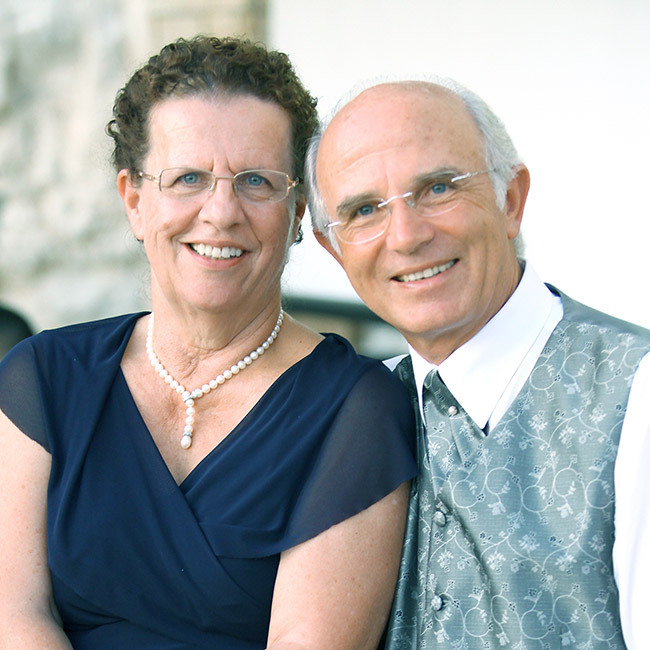 In 1973 Fredi Winkler and his wife Beate moved to Israel from Switzerland and are managing the Hotel ever since. One of Fredi’s manifold tasks is leading tour groups through Israel. Since 1992 he is a licensed tour guide, and as the demand for guided tours in the Holy Land continually increased, his son Ariel joined him in 2008. The Winkler family and the Hotel staff is always ready to assist you during your stay and make your visit in Haifa unforgettable. 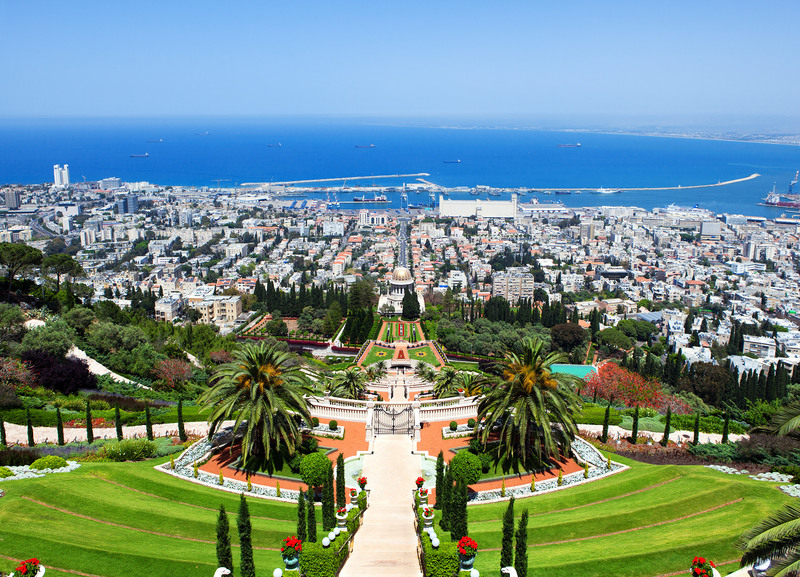 Our Hotel is a win-win offer for your pilgrimage to Haifa: moderate rates (as listed on the official Bahá’í brochures), centrally located on Mount Carmel, and walking distance from the Upper Bahai Garden's entrance. A bus station to visit the shrine is just outside of the Hotel entrance. Our multilingual team (up to 7 languages) will happily assist you with any questions you may have during your stay. The hotel itself offers a garden including seating areas, table tennis and play area for children. The beach can easily be reached by bus. For museum recommendations and more our staff will happily assist you during your stay. If you have any questions, please let us know. Our team will reply shortly. Our Address: Hanassi Ave. 110, Haifa, 3106102 Israel. © 2017 Beth-Shalom Hotel, Haifa (Israel). All Rights Reserved.